You can earn 330 yards with this purchase! 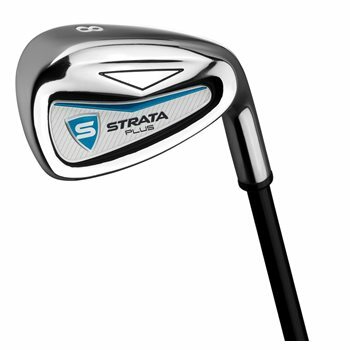 The Callaway Strata Plus club set gives golfers everything they need to hit the course. The complete set features a 460cc driver with a larger sweet spot for more distance off the tee, a 3-wood with a stainless steel clubhead and graphite composite shaft for faster swing speeds and longer shots, as well as a 5 hybrid designed for versatility and forgiveness. The perimeter weighting and progressive sole width technology in the irons deliver improved control and the mallet putter features alignment for incredible accuracy.